Hand knotted rug in graded wool, silk and silk/wool mix. Goodweave certified. Deirdre created a sunrise vista – cool skies with a glimmer of silken sunlight shining through. 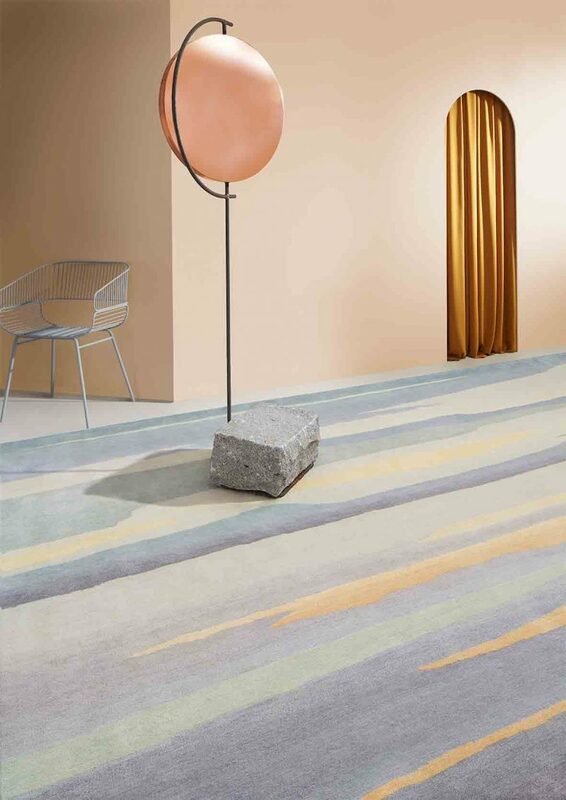 Winner: Innovation Category, Campaign for Wool Carpet and Rug Awards 2018.